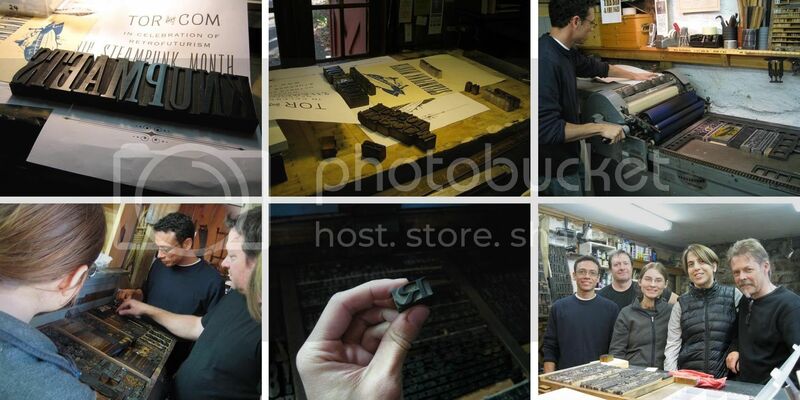 We decided that we absolutely had to have letterpress posters for Tor.com's Steampunk Month, so, four of us from Team TorDot drove up to Ross MacDoanld's Connecticut studio and proceeded to have a blast! We went up with a plan and then threw it away, having much more fun re-designing, rewriting, and adjusting on the fly. 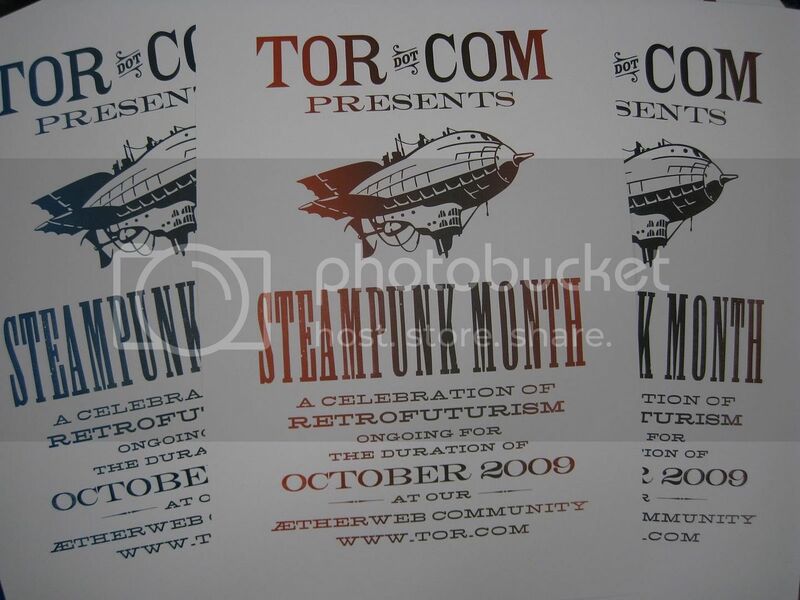 For the full story, go to: Making the Tor.com Steampunk press poster. And if anyone wants one, the first five people that email me their name and address get a poster. UPDATE: Sorry folks - all gone. Thanks! Looking forward to getting the poster. Ross is the best! I met him at his amazing studio/print shop barn and he amazed me with his generosity and awesome Images and letterpress collection!